New Delhi: Be it Judi Dench, Helen Mirren, Arnold Schwarzenegger or Richard Gere, Hollywood continues to cast its seasoned veterans in attractive roles. 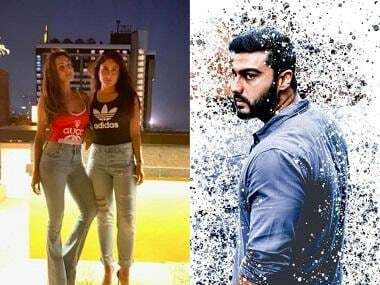 Is Bollywood doing enough? 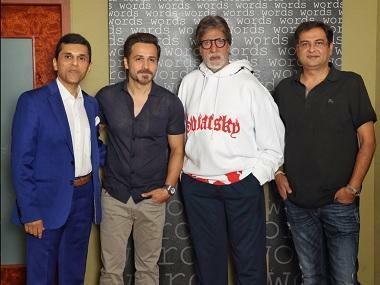 Amitabh Bachchan, who at 72 has impressed audiences with his essaying of the role of a cranky father in the highly acclaimed film Piku, says Indian cinema is no less and has its own standing. The septuagenarian himself has in the past decade, regaled his fans and more with eclectic, sometimes intense, sometimes comical roles in films like Black, Cheeni Kum, Paa and Shamitabh. "I do not think that we need to be influenced by the trends of an alien film industry. We are the Indian Film Industry and we have our own standing. Whereas we appreciate the creativity and standing of Hollywood in the world of cinema, I do not think we are any less," Amitabh told IANS in an email interview from Mumbai. "Actors and greats such as Chhabi Biswas, Uttam Kumar from Bengal; Dilip Kumar, Raj Kapoor, Dev Anand and Ashok Kumar from Mumbai; MGR (M.G. Ramachandran), NTR (N.T. Rama Rao) and Akkineni Nageshwar Rao, and several other accomplished leading men continued to play leading roles in films (even as they grew old)," he added. One cannot disagree with what the thespian concedes, especially when films like Do Dooni Chaar, Club 60, Super Nani, Jai Ho! Democracy and The Shaukeens are giving a chance to older actors to get screen presence with meaty rather than supporting roles. But, again, are we doing enough? 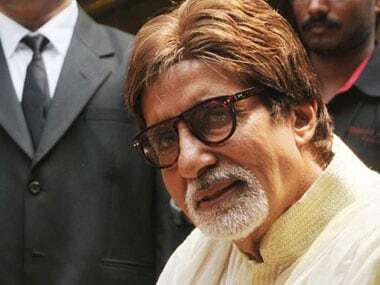 "Creativity is not an FMCG product where quantity and numbers are taken into account," said the Big B, who has been lending his acting acumen and talent for telling myriad stories on the big screen for over four decades, and continues to do so with the same conviction. "If there are stories that justify the presence of the elder, we shall continue to make those films," added the Padma Shri and Padma Vibhushan awardee. It was only after decades altogether that Amitabh stepped into the Hollywood world with a cameo in The Great Gatsby, in which he essayed Meyer Wolfsheim. Any more roles in the west? But in Bollywood, he continues to prove film after film that Bbuddah hoga tera baap!. In all humility, he commented "What can one say... It's just wonderful to be working in projects and fortunate that I am considered for roles. I do not subscribe to the sentiments of your adage, but so long as there is strength and will in my body to work, I would like to continue working." After the stupendous success of Piku, which saw him playing a nagging Bengali father suffering from constipation, Amitabh will next be seen in Wazir as a paralysed man with a knack for chess. There were films Amitabh did in late 1990s that were aimed at reviving his acting career back then, but his choice of films of late has been delightful. How is he picking his roles at an age when most would essay supporting parts? "I am not picking roles, the roles are picking me," he asserted. "As I said, I am very fortunate that the makers still consider me for these roles and I feel blessed to be getting an opportunity to be working in them." From the look of it, Bejoy Nambiar-directed Wazir looks intense and interesting. Another game changer coming up, is it? "Game changer? How do you mean? We do not make films with the intent of being game changers, and certainly do not set out with this intent. "We set out to make films which interest us in the story and something that we want to say and share. 'Wazir' is another one such," he said.